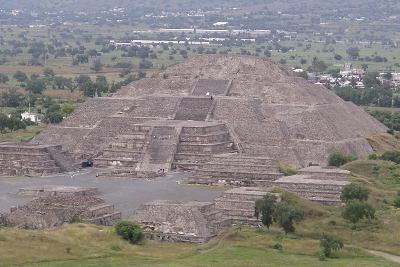 Is there evidence that the Maya were in Georgia and Florida? If so, why were they there? Were they mining gold and shipping it back to Mexico? 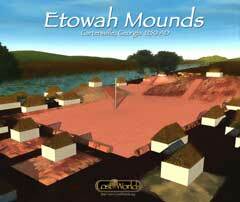 Does a gold artifact discovered in a Florida mound in the 1800s offer positive proof of this? 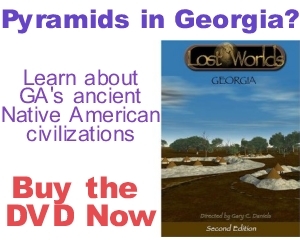 Let’s look at the evidence and see what it suggests about the true goings-on in the southeastern U.S. before the arrival of Europeans. Maya in Florida and Georgia? 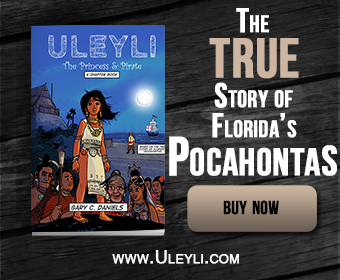 A site in Florida called Fort Center near Lake Okeechobee offers the earliest evidence of corn agriculture in the eastern United States. The question naturally arises as to how corn, a Mexican plant, showed up in Florida before it showed up elsewhere in the southeast. If it came by land you would expect to see evidence of its cultivation in Texas, Louisiana, Mississippi and Alabama long before it arrived in south central Florida. The logical conclusion, then, is that it was brought by people who arrived by boat. 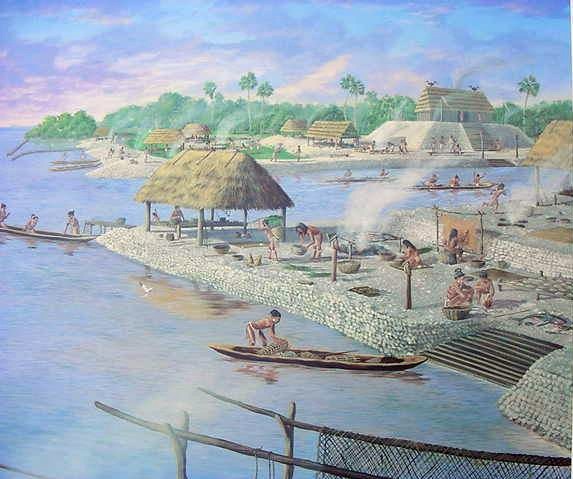 The archaeologist who excavated the site, William Sears, asserted in his book/archaeological report, Fort Center: An Archaeological Site in the Lake Okeechobee Basin, that this is precisely how corn came to be at this site. But who brought it? Interestingly, Lake Okeechobee was originally named Lake Mayaimi. It took its name from a tribe of Indians named the Mayaimi who lived around the lake. This is where the city of Miami gets its name. So in the same place where the first evidence of corn agriculture was discovered we find a tribe named Mayaimi. 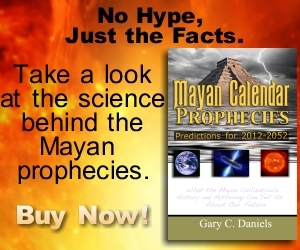 In nearby Cape Canaveral the Spanish recorded that a tribe named the Mayayuaca lived. Another nearby tribe recorded by the Spanish was the Mayaka. 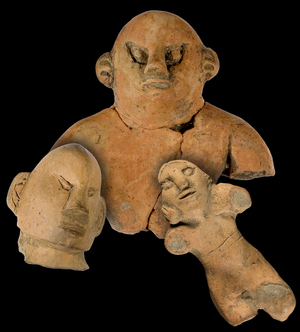 When the Spanish first reached the Yucatan in Mexico they encountered a tribe called Maia (Maya) living in a province called Maiam. 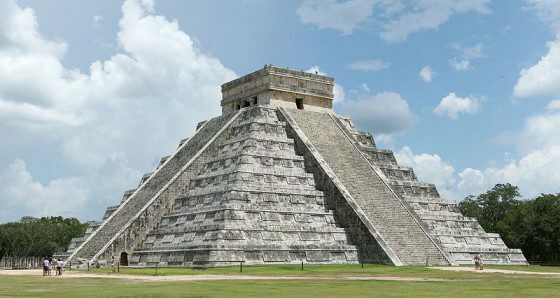 Could the Maya have been responsible for bringing corn to Florida? At the time this legend was recorded, the Hitchiti lived in Georgia. Following this legend in reverse, the only place south or “down stream” from Georgia with a lake large enough to be confused with the sea is Lake Okeechobee. The fact they arrived at the sea coast suggests they arrived in Florida by boat. 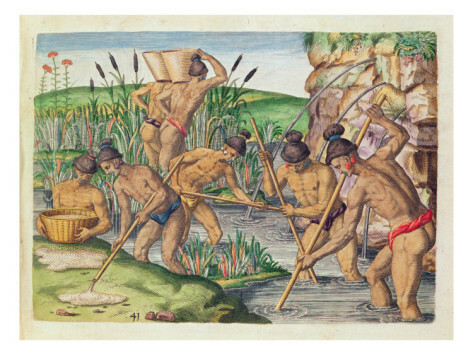 The Hitchiti migration legend reference to their ancestors coming from “reeds” suggests they were Maya who left a major city in Mexico and then arrived on the coast of Florida and temporarily settled near Lake Okeechobee before heading upstream and settling in Georgia “for a pemanency.” Interestingly, the Itza Maya referred to their ancestors as Ah Puh which translates as “Reed People.” Could the Hitchiti be descendants of the Itza Maya? Mayan Words and Glyphs Among the Hitchiti? The Maya also had a writing system believed to have been passed down from the Olmecs which used glyphs to convey sounds and sometimes concepts. If the Hitchiti were related to the Itza Maya then you would expect to find evidence of this writing system among this tribe. In fact, there is. A pottery tradition known as Swift Creek pottery existed in the same areas of Georgia where the Hitchiti language is known to have been spoken. Designs on this pottery are similar and some cases identical to Mayan glyphs and symbols in Mexico. More importantly, this pottery tradition begins around the same time that corn first showed up around Lake Okeechobee. Plumed Serpent at the Olmec site of La Venta near Veracruz, Mexico. The Hitchiti migration legend placed them arriving in Florida from a place of reeds, a known Mayan euphemism for a large city, and living at the very place where corn was first cultivated in the southeast. Getting here from there- Yucatan to Florida By Boat? 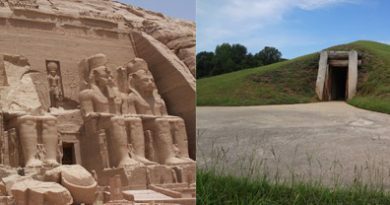 ← Possible Mayan Site Discovered in Georgia Mountains?